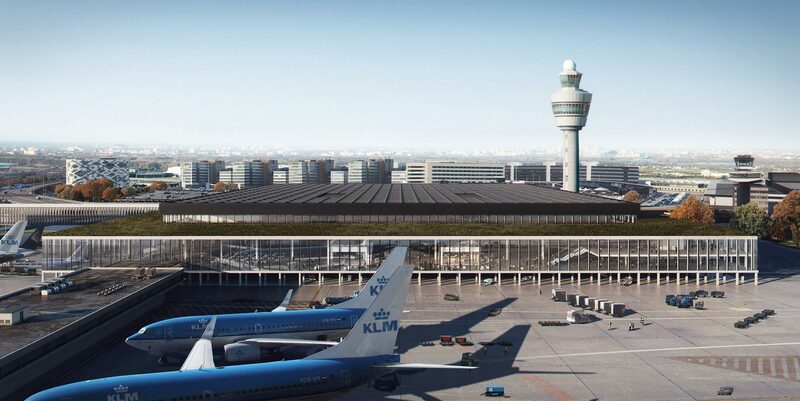 The expansion of the New Terminal at Amsterdam Airport Schiphol (Netherlands) is a landmark. 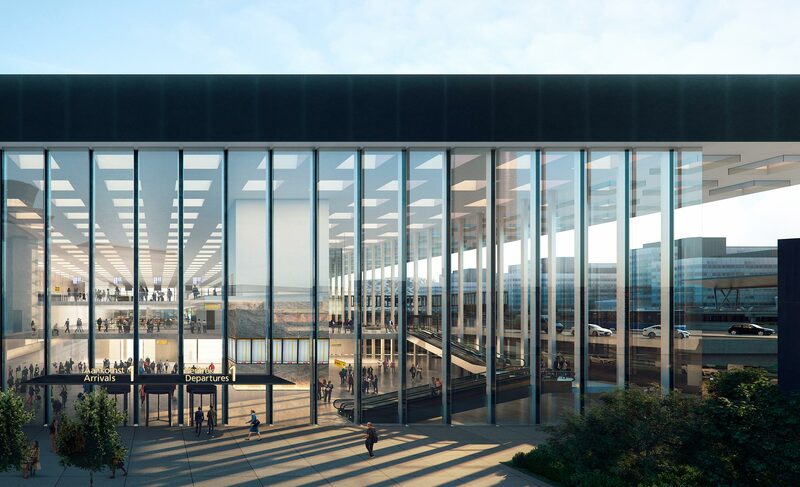 It’s a construction project that will welcome 14 million passengers per year and whose DNA is light, space, and its surrounding views. This is one of Europe’s most emblematic projects over the last few years. 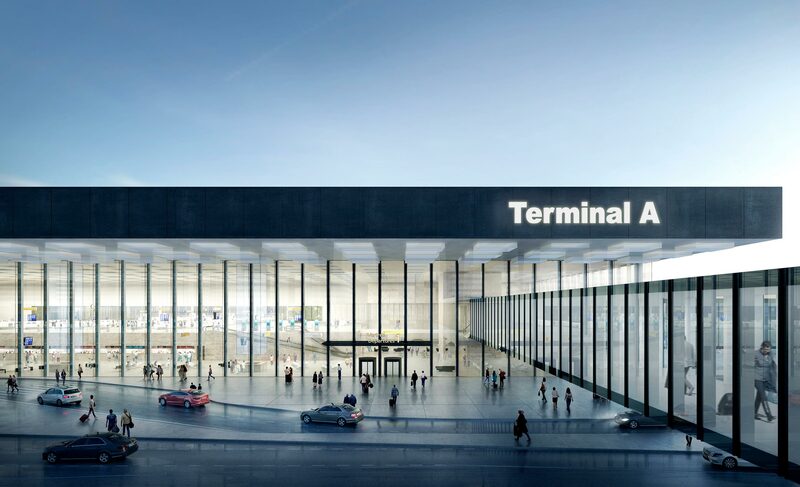 Estudio Lamela, along with KAAN Architecten, ABT, and Ineco as KL AIR, was awarded the Extension project of the New Terminal of Amsterdam Airport Schiphol. 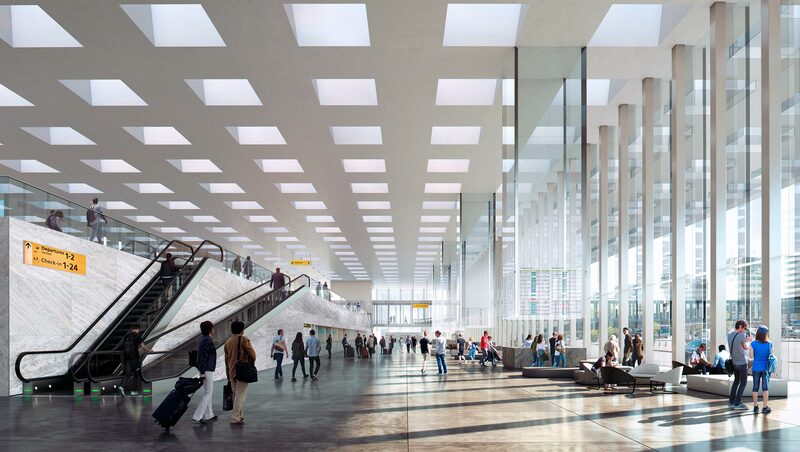 It will be completed in 2023 and will transport 14 million passengers a year. 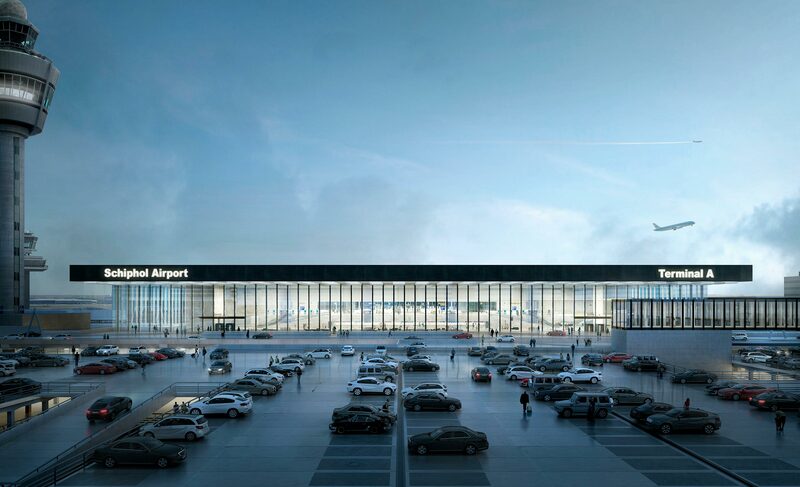 The inspiration behind the design is Schiphol itself and the ethos that has shaped the airport over the past 50 years: functionality, user overview and attention to detail, all well-integrated in an atmosphere of calmness, distinction and practicality. 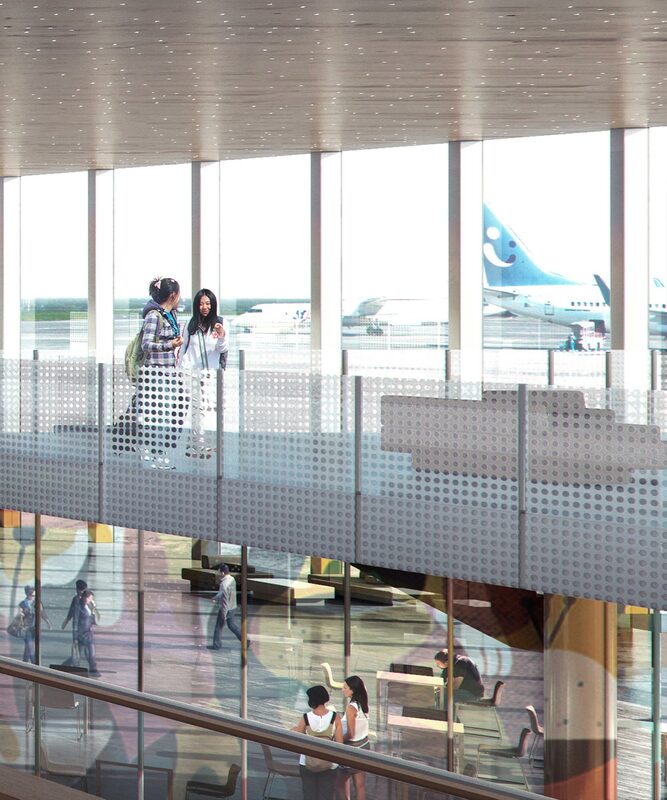 In what could be said to define the essence of Schiphol’s DNA, space, light and wide open views have been given priority over architectural form. 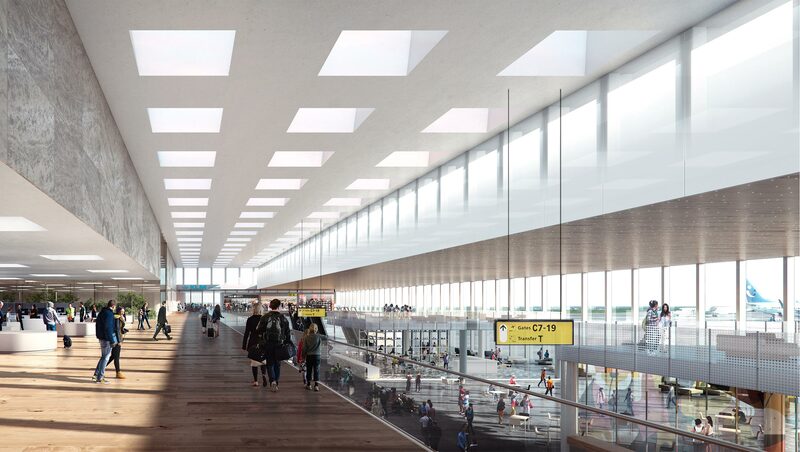 The design submission defers to the airport’s sobriety and the ‘one terminal’ concept, including transfers free of check-out and check-in and automatic baggage transfers for passengers. The building’s structure will be only minimally seen and appear as the most logical of bones. Not a single column will block the space. The façade columns and certain functional areas in the building will bear the load of the roof. Its openness will facilitate any future changes, which speaks of its architectural sustainability. 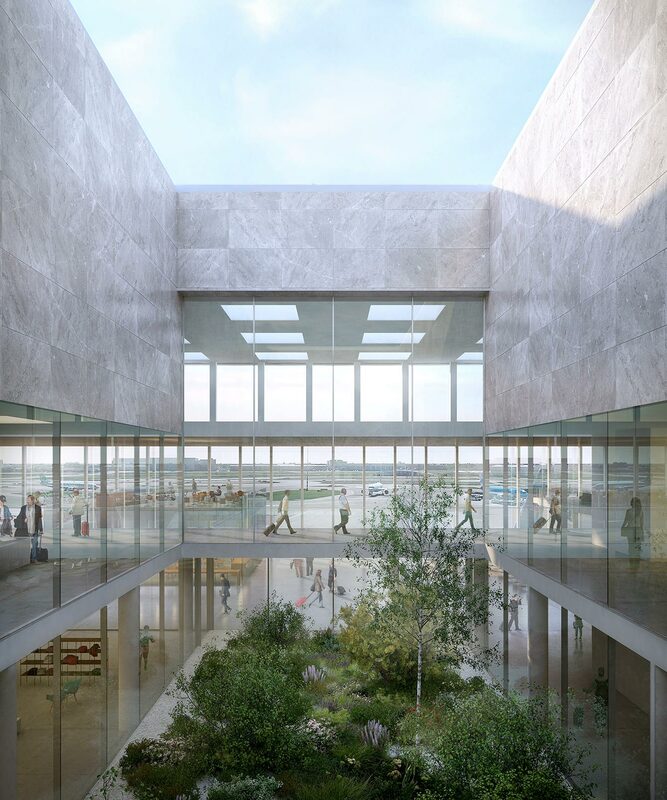 The new terminal’s architectural quality is to be found in its layers of opposites: it is a practically organized and user-friendly place yet also offers a grand, atmospheric and light-filled space for a pleasant experience. The everyday and the extraordinary merge to create an exceptionally welcoming space.